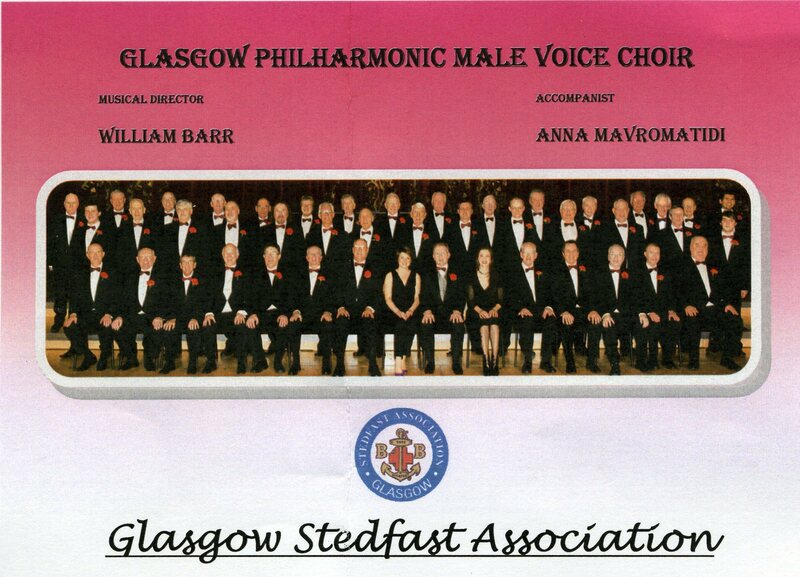 The Glasgow Stedfast Association are holding their annual fund raising concert in Clincarthill Church on Thursday 10th April 2014, 7.30pm to 9.00pm. Proceeds will go to the Association’s support fund designed to assist projects in the current Boys’ Brigade membership in Glasgow and elsewhere. We would be delighted if you would support this concert by being present, tickets are £5 each including tea/coffee/biscuits and are now available from Ian Ritchie or from any other Glasgow Stedfast member, or by paying at the door on the night of the concert. The choir will provide a light and popular programme of male voice singing at its very best. The choir have recently performed in the Royal Festival Hall in London; the Royal Albert Hall in London; the Royal Concert Hall in Glasgow and in the Royal Conservatoire of Scotland. We hope you and your friends will support this concert by being present on 10th April, we are sure you will not be disappointed. This entry was posted in Uncategorized on 4 April 2014 by admin.